One month before the date I was scheduled to start my long-term trip to Peru, I still hadn’t booked my flights, gotten the recommended vaccinations, or even thought about what I was going to pack. Trying to juggle the travel preparation, especially since it was going to be my first long-term international trip, with my work and daily life was overwhelming. There were many moments, in the midst of my frustration, when I almost canceled the entire trip. If this is where you are as you plan a trip to Peru—take a deep breath! It’s going to be okay. Below is the information I learned the hard way; it should help your trip prep go smoothly. **Please note this guide is aimed at a long-term trip to Peru, but should be helpful overall for any type of trip! Also, this is written based on my experience traveling in Peru in 2014. *This post has some affiliate links, which means I may receive a commission (at no extra cost to you) if you choose to purchase through my links. Before you go on your trip, be sure to purchase a travel insurance policy. This protects you from the many things that could go wrong, from delayed flights to emergency hospital visits. Most travel insurance must be purchased before you start your trip. The exact time that you should purchase it varies by company, so be sure to check this, but usually you can buy travel insurance as soon as you’ve made your first deposit toward something for your trip, such as when you buy a plane ticket. For almost all travel insurance companies, once you have begun travel, it is too late to purchase a policy. Many travel insurance policies have a pre-existing medical condition clause. This means if you suffered from, were treated for, or are taking prescriptions to treat anything within a certain time period before you bought your policy (usually 180 days), and you need treatment for the same condition after the effective date of your policy, your travel insurance won’t cover it. This is to avoid insurance fraud. So for example, say you have a heart condition, and you went to a cardiologist right before buying your travel insurance policy. If for some reason during your trip you need to see a doctor for your heart condition again, your travel policy may not cover that expense. Please note most insurers will not allow you to extend or renew a policy once you have begun travel. This means that if you are not sure how long you will be gone, you might have to gamble on what date you should put down as the ending date of your trip. Insider’s Tip: During my research, the only travel insurance company I found that allows Americans to extend or renew their policy after a trip has started is World Nomads. Outlets in Peru are the same as the United States Type A (the outlet with two pins), and they accept both flat and round pins; however, voltage in Peru is 100 volts higher: 220V. For Americans, most items brought will not need a converter or an adapter, but there are exceptions. For example, MacBook chargers have plugs that have three prongs—three prongs will not fit into a Peruvian outlet unless you use an adapter or power strip that has three prongs. 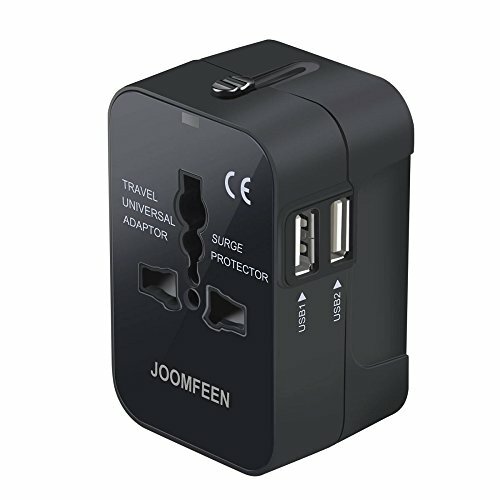 As far as converters go, many laptop chargers and cell phone chargers have converters built into them, meaning you won’t need to buy a converter. However, hairdryers and straighteners usually do require a converter. To be sure, check the input range on the labels on all appliances and chargers you plan to bring with you, and make sure 220V falls within that range. For example, if your charger reads “AC 100V-240V,” you won’t need a converter to use it in Peru. If one of your appliances does need a converter or adapter, you can purchase one before you leave, or purchase one when you get to Cusco. Check the stores and markets on Avenida El Sol or on Avenida de la Cultura near the Plazoleta de Limacpampa. U.S. citizens traveling to Peru as tourists do not need to apply for a visa before arriving. Instead, you will receive a Tarjeta Andina de Migración (TAM) card and an entry stamp on your passport that says the number of days you can stay in Peru. The maximum number of days you can receive at one time is 183. The Peruvian government does not offer extensions on tourist visas. Many travelers who decide to stay in Peru longer than six months choose to become residents by applying for a Carnet de Extranjería, or CE. This allows the CE holder to obtain jobs, open bank accounts, and do many things that Peruvian citizens can, including stay in the country for as long as they’d like (provided they pay the yearly CE renewal fee and foreigner’s tax). For more information on obtaining a CE, visit the Migraciones website here. Insider’s Tip: Sometimes airlines may require you to show proof of a return ticket or onward travel to be able to board the flight to Peru. The three times I flew to Peru, I was never asked for this, but for some travelers, it does happen. If you are concerned about this, call the airline and ask, or go ahead and purchase your return/onward flight for the date you think you might leave Peru. If you change your mind after you’ve arrived in Cusco, you can always call the airline and change the flight date (which I did once), though it may incur fees. Be sure that on the date you plan on arriving in Peru, your passport has at least two empty pages and six months before it expires. Before you leave, make two copies of your passport; leave one with someone back home and bring the other with you, just in case you lose your passport while traveling. Before going to Peru, be sure to schedule an appointment with a doctor to do a pre-trip checkup to ensure you have no medical problems that may hinder travel, and also to get advice on any vaccinations and prescriptions you may need. The recommended vaccinations are subject to change of course, so please check the CDC website and visit your doctor before you travel to Peru. Be sure to schedule vaccinations early. The CDC recommends getting the Typhoid vaccination at least one week before travel and Hepatitis A at least two weeks before travel to give the vaccines enough time to take effect. Sometimes health clinics are out of vaccines, so be sure to call ahead of time to make sure there are no delays, and you are prepared for your trip. Leaving things behind can be scary; most people are so used to routine and stability that leaving their possessions and comfort behind can be a terrifying thought. Don’t worry. Below I’ve outlined ways to make sure your belongings are in good hands while you’re gone. If you are a homeowner, leaving for a long-term trip can be particularly tricky, but it’s certainly not impossible. There are plenty of globetrotting homeowners. You first have to decide if you want to keep your home or sell it. One website you can use is TrustedHousesitters.com. There you can find professional housesitters with profiles and reviews. Find someone you can trust to periodically check on your house while you’re gone; you may even decide to pay them for this. Alternatively, you could allow them to live in your house, much like the housesitting option I mentioned above, except this time with a family member or friend. If you decide to do this, make sure to hire a property manager or ask a friend or family member to assist you by showing the place, issuing keys to new renters, and taking care of any issues. Having pets complicates long-term travel even more, but again, it’s not impossible. The best option is to leave your pet with a trusted family member or friend. Another option is to open your house up to house sitters. The website I use and recommend as a house sitter is TrustedHousesitters.com. You can find someone who will take care of your house and pets. A final and rather expensive option is to board your pet at a kennel. Again, consider how long you plan on being gone. If it’s a year or more, then it might be worth it to sell your car; otherwise, you will need to find a place to store it if you don’t have a house. You could pay to park your car at a dedicated storage place. Alternatively, you could pay a friend or family member to park your car in their driveway, garage, or backyard. If you have a car you still owe payments on, it can be painful to continue making those payments while you’re in Cusco, and your car is sitting unused. One option is to rent your car out to a friend or family member. While it may not cover the entire cost of your car payment, it could at least lessen its sting. Make sure your auto insurance is squared away to cover anything that might happen to your car if someone else is driving it. Consider lowering your auto insurance to the absolute minimum allowed by law in your state. Finding out the legal minimum coverage for your state is as easy as calling your insurance provider. Just remember to keep some coverage in case of acts of nature or vandalism. When I left for Peru, I dropped my auto insurance to the bare minimum and saved about $45 per month by doing so. If no one will be using your car while you are gone, then another option is to put your car on a storage plan. This allows you to park your car somewhere safe while you’re gone, and thereby lower your insurance payments even more. Be sure to talk to your insurance company about this and notify them ahead of time of your departure dates and how long you’ll be gone. Once you return, call your insurance provider and restore your policy to your regular coverage before you start driving again. After the house, pets, and car are taken care of, that still leaves a lot of other possessions. This is where things might get really tough. If you have a house, you can of course leave your things there. Otherwise, you will either have to find someone who is willing to let you store your things inside their home, rent a storage unit, sell your stuff, or give it away. Many travelers choose to hold a yard sale or sell their things on Craigslist before leaving, and they put the profits into their travel fund. You could also cut down your possessions to only what will fit in your car, and then store those things in your car. Just realize that this could make your vehicle a target for thieves if they can see inside. Some people prefer to save up so they don’t have to work while they are traveling. If you’d like to do this, be sure to estimate how much money you’ll need, and start saving early. Remember to factor in a buffer for emergencies. Start by figuring out about how much it would cost to buy a last-minute return ticket to your home country. 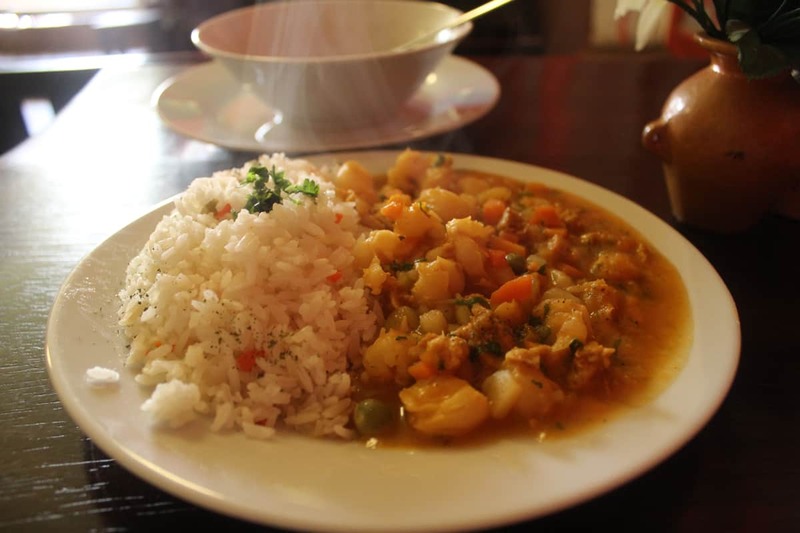 To give you an idea of a monthly budget, I lived quite comfortably in Cusco for US$1,000 a month; this covered my one-bedroom apartment, Internet, Spanish classes five days a week, groceries and going out to eat, and electricity and water bills. 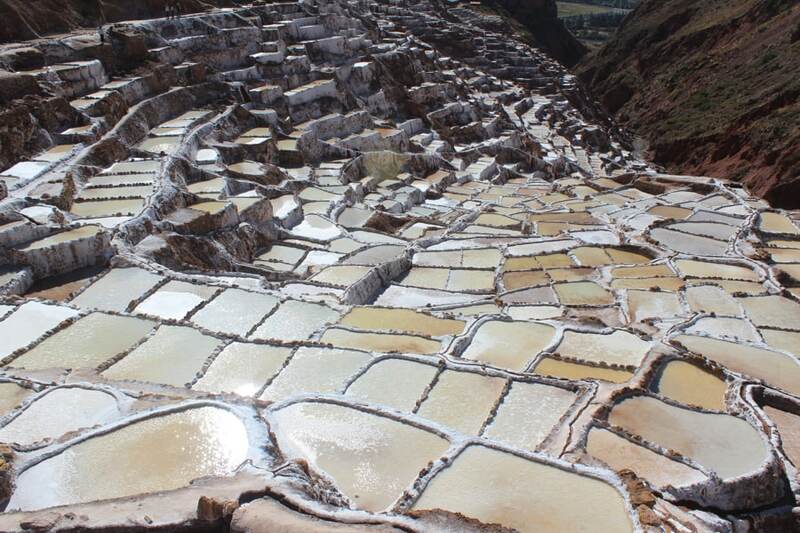 You can definitely get by in Peru on much less than US$1,000 a month. 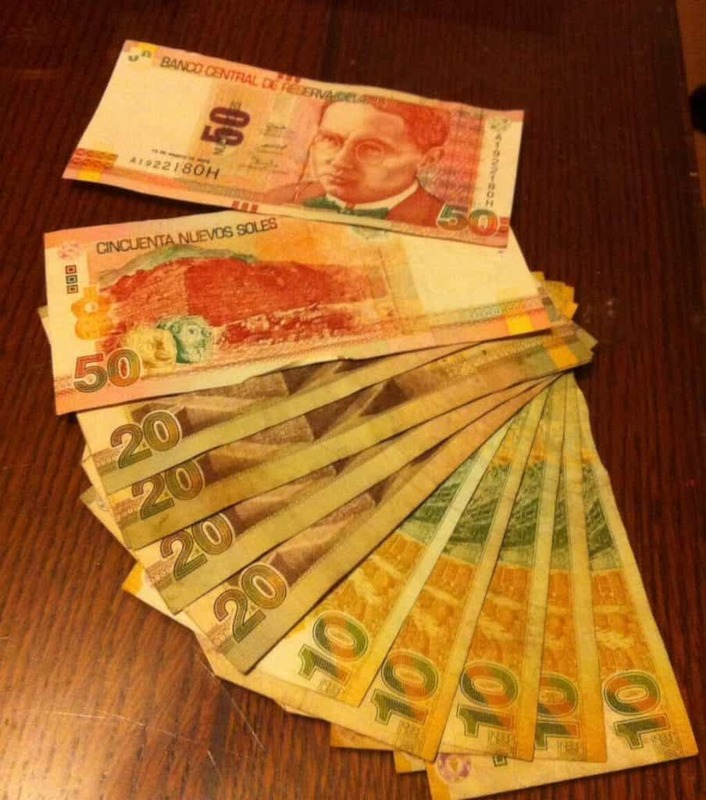 For more information, read my post on how much it costs to live in Cusco. If you already have a job, find a way to make it remote. You will have ample access to Internet and phones in Cusco, so it wouldn’t be any different from working remotely in the States. Meetings can be held on Skype or via phone. I work remotely as a writer and marketing consultant for clients in the States. Before I left, I let them know where I was going, and that I would still have the same availability and still do the same quality of work even though I would be in a foreign country. Many expats in Cusco choose to get jobs at travel agencies, English schools, or hostels. If you plan on doing this, just realize your earning potential will be much lower than it would be in the U.S. since the pay in Peru is much lower. Also, you will need to get a work visa to legally work in Peru, which your employer should be able to help you with. It’s likely your bank won’t have a branch in Cusco, but that’s fine. With technology these days, it isn’t necessary to do banking in person. Make sure to sign up for your bank’s mobile banking service (or if your bank doesn’t have one, be sure to open an account with one that does). You can check balances, transfer money, and pay off credit cards from your cell phone or laptop while you’re in Cusco. For your bills, make sure to set up ways to pay them online while you’re away, or pay them ahead of time if you can. Also, notify your bank of the dates and places you will be traveling, so they don’t shut down your account when they see “suspicious” charges coming from Peru. If you have a permanent address, ask a friend or family member to periodically check the mail for you, and notify you of any bills, checks, or otherwise urgent mail. If you do not have a permanent address, rent a P.O. Box or private mailbox. I highly recommend using a private mail service like FedEx or UPS. I rented a medium-sized mailbox at a UPS Store before leaving the country. The great thing about this was they emailed me notifications whenever I received mail. On top of that, I could call and ask them to tell me what mail I received. They also allow customers to authorize certain people to pick up their mail. I left a key to my mailbox with my family, so if I got checks in the mail, they could pick them up for me and deposit them in my bank. You can order soles from your bank before you start your trip. Otherwise, it is completely fine to wait until you land in Lima because there will be ATMs inside the airport that dispense soles. The exchange rate at the time of writing was about S/. 3 to US $1. This will undoubtedly be the biggest cost of your trip, so it’s important to take advantage of all the ways you can potentially save on your flights. Buying plane tickets is always a gamble; prices change unexpectedly, and it’s hard to predict the “best time” to buy. As a general rule of thumb, one to two months before departure seems to be the most cost effective time to purchase. When I was searching for flights to Cusco, I found that tickets were cheapest one month before my preferred departure date. I use Skyscanner to scan for the cheapest days to fly. If you’re flexible, this site really comes in handy. Just select “Whole Month” or “Whole Year” in the dropdown on the calendar for departure/return dates, and Skyscanner will scan several sites on the Internet to determine the cheapest dates to fly. This is a great all-encompassing site. Do a search, and filter by “Price” if budget is most important to you. One trick is to break up your trip into legs. For example, instead of searching San Francisco to Cusco, break it up into San Francisco to Lima, and then Lima to Cusco. For some reason, adding up each individual flight, rather than booking one straight ticket, can save money. The only downside is that you have to keep track of your own flights, especially since they will probably be on different airlines. Additionally, if one flight is delayed on one airline, causing you to miss your next flight that is on a different airline, your new ticket may not be covered. Other sites I do searches on to compare prices: Kayak, Orbitz, and CheapTickets. The above-mentioned tools are best used in combination. First, do quick searches on Skyscanner, Kayak, Orbitz, and CheapTickets to see what the lowest prices are. Second, sign up for email notifications of price alerts for the destinations and dates you want. Wait a few days to see what kind of price alerts pop up. I recommend booking just one week of lodging ahead of time. That way you have a place to stay when you arrive, plus you can spend that week searching for a more long-term living situation. For my first trip to Cusco, I booked a room with a host through Airbnb. If you are a planner and prefer to have everything pre-arranged for peace of mind, book for however long you feel most comfortable with. However, I guarantee you will find cheaper long-term housing if you wait until you are in the city and are able to search for things in person. Insider’s Tip: I highly recommend booking a temporary place that has hosts, preferably native Cusqueñans, who will guide you and teach you about the culture when you first arrive. This is especially important if you are traveling alone for the first time and are nervous. By having a native host when you land, you will integrate into the culture more quickly and have insiders to help you get settled in. It also helps you to shake off the initial feelings of homesickness and culture shock that so often put a damper on an international trip. I found my host through Airbnb.com, but you can also try sites like Homestay.com. Get $40 of travel credit for your first Airbnb stay with my referral link! Unless you have a specific date that you must visit Machu Picchu, you do not need to book train tickets and entrance tickets to Machu Picchu before arriving in Peru. If you plan on being in the country for three months or longer, you will have plenty of time to book once you arrive. I purchased my train ticket, entrance ticket, hotel room, and tour of Machu Picchu when I got to Cusco, just one week in advance. For treks to Machu Picchu, you need to book three to six months in advance, especially for the Inca Trail because permits sell out fast, particularly during high season (May-September). 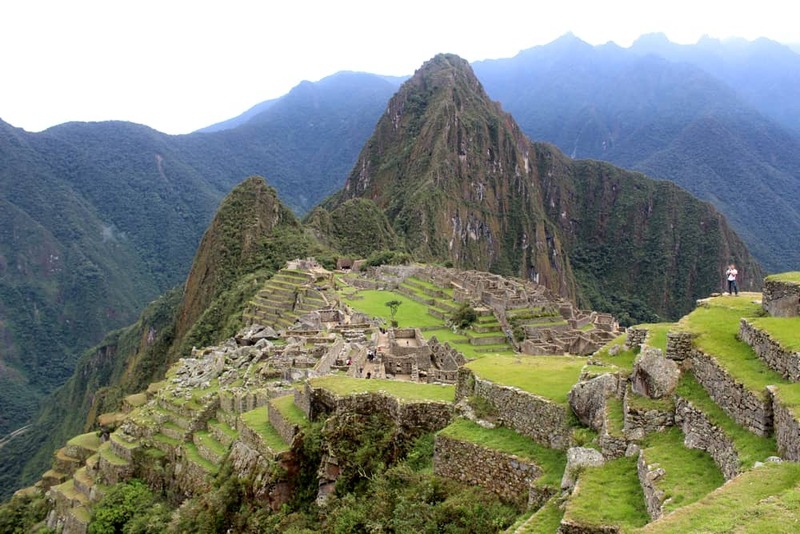 For more details on planning a visit to this ancient Inca site, see my post on how much it costs to visit Machu Picchu. I am a huge proponent of packing light. Most things you will need, you can find once you get to Cusco. I went to Cusco with just one 40L carry-on backpack and a small daypack, and ended up buying things like appliances and toiletries once I arrived. Below I’ve outlined what I recommend bringing on your trip. – Because of Cusco’s high altitude, the sun is particularly intense, so even if you don’t usually burn, be prepared for sunburn in Cusco. – No matter the time of the year, Cusco is cold at night (between 30° and 40°F). – The air is very dry, so bring moisturizing products to treat cracked hands and lips. – Unless you plan to hike and camp every day, you do not need to bring gear such as tents, sleeping bags, and hiking boots. These items are available to purchase or rent all over Cusco. 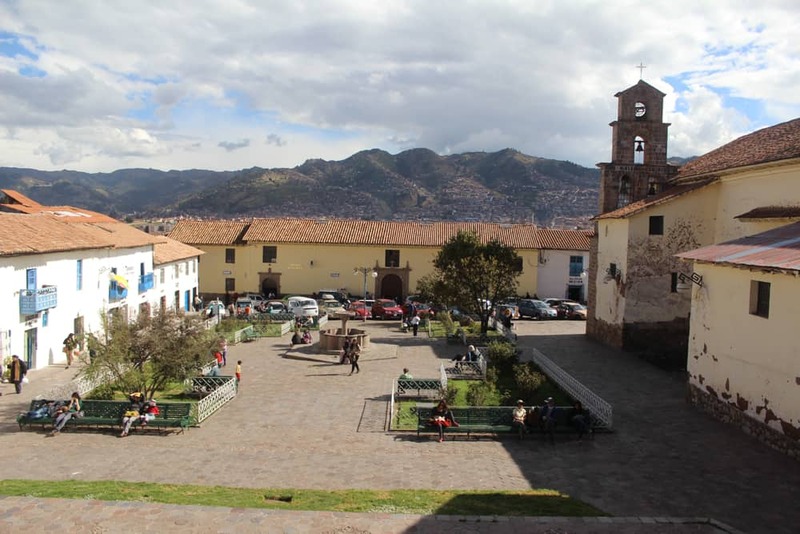 – While it’s true that you can find anything once you get to Cusco, there are some things that may be hard to find or may be very expensive: toiletries, makeup, and certain brand names of medication. For me, finding the exact brands of toiletries and makeup I wanted to use was a challenge, so if you’re particular about these things, be sure to bring them with you. This packing list is meant for a three-month stay in Cusco. If you are staying longer, you can buy extra clothes, household appliances, and furniture once you arrive. With the amount of clothing in this list, you will need to get laundry done once a week, which is very inexpensive; it usually cost me S/. 6 (about US$2) per week. All the items listed below should fit into one 40L bag. and a smaller carry-on bag. You will, of course, be wearing some of the items on the flight, thereby saving room in your bag. Try to layer as much as you can. Insider’s Tip: If you are bringing bottled liquids, be sure to wrap them up or put them in a plastic bag because the high altitude of Cusco will cause the bottles to expand and leak. Also, for those flying from the U.S., keep in mind the TSA 3-1-1 Liquids Rule for carry-ons. You are allowed one small bag of liquids in containers of 3.4 ounces or less each. Check the TSA website for the most up-to-date information: http://www.tsa.gov/traveler-information/3-1-1-liquids-rule. For most travelers, at some point, anxiety hits them like a slap in the face. You might stress over whether you packed all the right things. If that’s what you’re worrying about, don’t! Remember that even though Peru is a developing country, Cusco is such a tourist hotspot there will be vendors selling the exact things you’re looking for (cell phone chargers, electrical converters, sunscreen, hiking shoes, etc.). You might be filled with anxiety over doubts such as: What if I hate it there? What if something goes wrong? Am I making a big mistake? The exact same thing happened to me, and I found it very helpful to keep this in mind: If you go and you hate it (which I highly doubt you will), you can always go home. But if you don’t go, you’ll never know. When you plan a trip to Peru, you may encounter resistance from your family, friends, and even strangers. I remember being on a flight to visit San Francisco a few months before my South America trip, when my foreign travel plans came up in a conversation with the man seated next to me. When he heard where I was going, he shook his head. I decided to refrain from getting into a heated argument with him right as the plane left the gate (I’d have to sit next to him for the next five and a half hours after all). Besides that, I got a lot of concerned comments from friends and family, but I know they only said it because they care. The important thing to remember is that you do not have to defend your decision; getting defensive only makes you look insecure about it. Calmly state that you have thought about it a lot, and you are prepared to go on the trip. Thank them for their advice, and tell them you don’t feel the need to discuss it any further. Next article What to Wear in Paris for Winter & Fall + My Paris Packing List!